The artwork template allows you to upload your artwork for the 'under shirt' portion of the shirt as well as allowing you to change the color of the tie to match any color you would like. 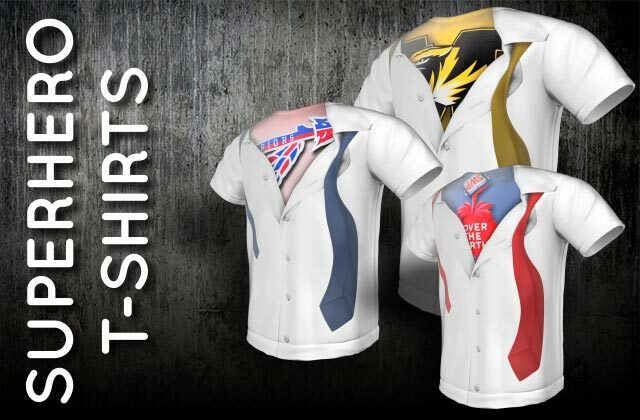 These are printed/pressed on 100% polyester t-shirts for a great look, fit and feel! Visit our Superhero T-Shirt page for additional information or to generate a visual sample. 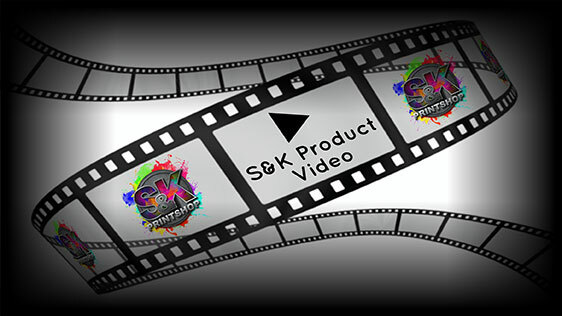 Click Here to get a FREE quote from S&K for next Superhero T-Shirt printing job! We currently only have an EPS file for the template for this product. If you require a different file, please contact us for assitance. All of our products come with a possible 10% quantity +/- increase/decrease total. These will be mostly seen with larger quantity items such as our stickers/decals, dye sub transfer sheets, mousepads, etc where there are high quantities with the same artwork on each item. The customer will be responsible for any charges for these overages at the same rate per item along with rest of the quoted order.